Other girls just don't get it. I live for the time of the year when football season and basketball season overlap so I can watch my two favorite sports at the same time. However, as any other girl that likes sports knows, there are a few different struggles that we experience on a day-to-day basis. 1. People won't believe you. I've gotten very accustomed to the “look" people give you when you tell them you like to watch sports. It's a look that reeks of disbelief. I'm sorry I don't know the blood type of the former coach's oldest son. You'll just have to learn to let it go... but yes, I do watch sports. 2. People will try to explain the game to you. Yes, I know that was a sack. Yes, I see that it's a fourth down. Yes, I know what foul that was. Yes, they are about to take a free throw. Please stop talking while I watch my team play. Thanks for trying to keep me updated, though. 3. Guys will think you are trying to impress them. Dude, stop flirting with me while the game is on. Don't block the TV. I need to see this. I could care less about you. My team is playing. 4. Your girlfriends will never care about sports as much as you do. You will have to beg and grovel just to get them to watch the game with you. Even then, either they won't pay attention, or they will ask you what's going on every couple of minutes. 5. No one finds it acceptable when you yell at the TV. My dad yelled at the TV during football games when I was growing up. My guy friends do it. But the minute I open my mouth when my team starts losing, people start staring at me and silently begging me to act more like a lady. 6. Women's' sports apparel is awful. I get asked on a regular basis when shopping for team apparel, “Do you need me to show you where the women's stuff is?" No, no, nope, absolutely not. 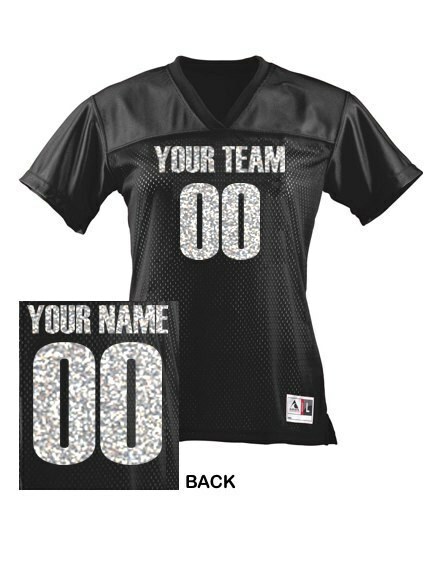 I would much prefer not to run around with rhinestones on my chest or in a pink football jersey. I'm cringing at the thought. 7. You turn into a child when your team loses. No, it is not my time of the month. You know good and well my team just lost. Don't speak. I'm going to my room to lie down under my baby blanket and eat chocolate ice cream. It's just too much.